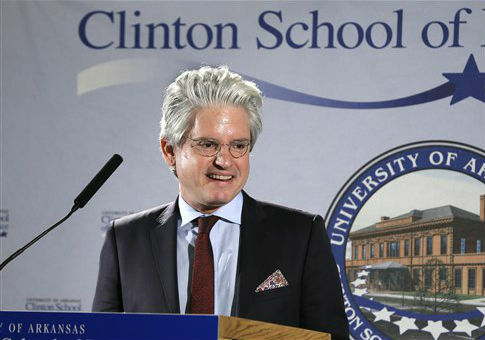 Time reported in September that Brock "had to cut off operational discussions" with American Bridge 21st Century, a pro-Clinton opposition research super PAC that he founded, in order to comply with legal restrictions on campaign coordination. However, financial information filed with the Federal Election Commission on Sunday reveals that American Bridge paid Brock more than $58,000 during the second half of 2015, primarily through bimonthly installments of nearly $5,000. American Bridge did not respond to questions about Brock’s continued role with the organization. David Brock also did not respond to a request for comment. Brock is also being paid by Correct the Record, a super PAC that has pushed the legal boundaries of campaign coordination by directly working with the Clinton campaign on Internet-based pushback against the controversies that have dogged her presidential bid. FEC records show that Correct the Record has paid Brock about $53,000 since July. Super PACs are generally prohibited from coordinating with candidates and their campaigns. American Bridge is legally barred from communicating with Clinton or her team while she campaigns for the Democratic presidential nomination. Correct the Record says it has found a loophole in coordination laws. The group maintains that the online-only nature of its work—as opposed to broadcast communications or other paid media—allows it to legally coordinate with the campaign. Experts say Brock’s roles at the two groups show how he has used sophisticated legal maneuvers to circumvent campaign finance restrictions designed to prevent corruption and the influence of high-dollar donors on the political process. "In short, it looks like Brock is running a shadow campaign," said Robert Maguire, a researcher and reporter with the Center for Responsive Politics. He pointed to Brock’s involvement with other groups that are explicitly or in effect boosting her political efforts, a network that he called "the Brocktopus." "Several of those groups are providing her different forms of ground support—be it opposition research or slanted fact checking—and at least one of the groups is pretty openly coordinating with the Clinton campaign," Maguire wrote in an email. Brock is listed as the chairman and treasurer of American Bridge’s nonprofit arm, which reported paying him $80,000 for part-time work last year. He is also the founder and chairman of nonprofit Media Matters for America and its advocacy arm. The two groups, which conduct opposition research on conservative media figures and organizations, paid Brock more than $300,000 in 2013, the latest year for which annual tax filings are available. "The whole operation is neatly buckled up by some of the best Democratic lawyers in the country," Maguire said. "If any loose ends start to show, they'll certainly help him tidy it up." Maguire and other experts noted that while Brock is helping to blaze new trails in campaign finance law in the wake of Supreme Court rulings loosening federal restrictions, he is just one of a number of political operatives pushing the boundaries of laws governing political spending. "Unfortunately, this isn't an isolated instance, but rather part of an alarming trend where outside groups that are trying to influence our elections are flaunting the rule against coordination," said Jenn Topper, a spokesperson for the Sunlight Foundation. "Currently, there is little accountability from the Federal Election Commission or the IRS, who should be asking tough questions of these groups—and their leaders," Topper said in an email. The arrangement is fraught for Clinton, who has pledged new campaign finance restrictions in an effort to ward off a nomination challenge from Sen. Bernie Sanders (I., Vt.), a strident reform advocate. Clinton has pledged to nominate Supreme Court justices who would overturn Citizens United v. FEC and other recent decisions liberalizing campaign finance laws. In its Citizens United decision, the court ruled that the FEC could not censor a nonprofit group’s documentary about Clinton because it aired within 30 days of a primary election. This entry was posted in Politics and tagged Campaign Finance, David Brock, Hillary Clinton, Media Matters for America. Bookmark the permalink.